Online advertising platform Adzooma has recently appointed Jamie Dixon as their new head of sales. 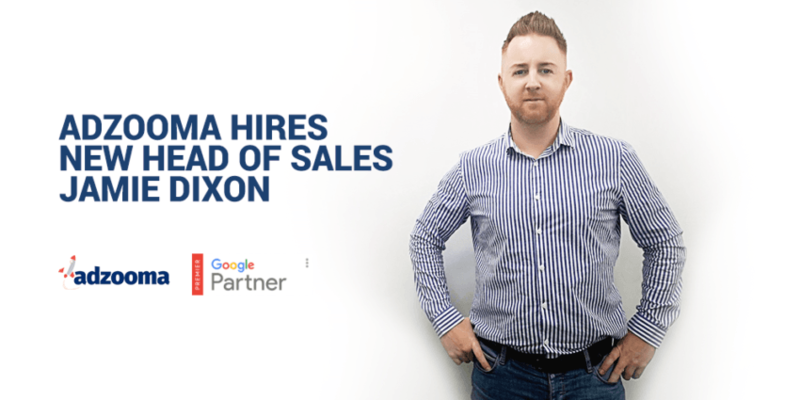 Dixon, who has 15 years of experience in the industry, is the former Regional Team Manager at Worldpay, UK Head of Sales at GoDaddy, and Inside Sales Head at Experian. The main part of his role is to implement better processes across the team in order to provide a more efficient and supportive service to every customer. Speaking about his future plans, he reveals he’s got a few tricks up his sleeve to further enhance the sales team. 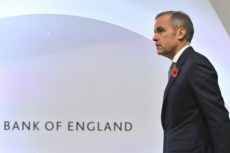 He said: “The main plan at this stage is to grow the company. We always want to provide the best service possible. So, as well as getting to know all our clients to provide them with the best experiences possible, we’re also going to expand our team. Director and co-founder Robert Wass has warmly welcomed James’s impressive skill set. He said: “I’m delighted to have James on board with us. His knowledge and experience will be invaluable to the team. With such a strong background in sales, Dixon’s aware that digital marketing can be a minefield. But, he claims to have learned important lessons throughout his career which can now be implemented in his new role. First, your customers are always your number one priority. As well as managing the sales department, it’s expected that Dixon’s expertise will boost team morale and have a strong impact on the number of sales. When asked about the business, he said: “The services are what makes Adzooma completely stand out above the rest. It really takes away the confusion and hard work away which is essential for small businesses who just don’t have the budget for a big agency. Along with Jamie Dixon, Warren Jacobs of ActiveWin Media joined as a director while billionaire businessman, Fred Done, made a substantial investment in May 2018. With their backing, Adzooma hopes to develop paid social media options and marketing tools for multiple verticals. What to expect from Los Angeles Lakers this season?